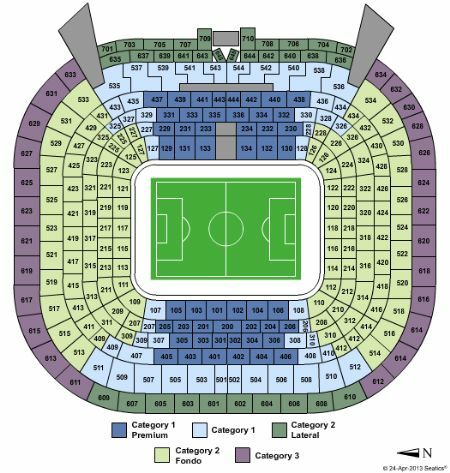 Marathon Sports Travel are the leading sports tour operator for football match tickets and travel packages across Europe. All prices listed below for packages with accommodation are per person sharing. Single supplement will be applied if person is travelling on its own. Package includes 1 night stay B&B and Category 3 match tickets. Additional nights and ticket upgrades can be added at supplement. 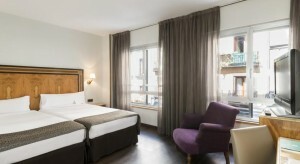 Exe Coloso is located 50 metres from Madrid’s lively Gran Via. Surrounded by great shops and restaurants, this hotel offers free Wi-Fi throughout and rooms with a flat-screen satellite TV. Rooms at the Exe Coloso are modern and spacious. They feature a small seating area and air conditioning. Some rooms include a terrace. The computer in the lobby offers free internet access 24 hours a day. Plaza de España and Santo Domingo Metro Stations are 200 metres from the hotel. The Ibis Styles Madrid Prado is in Madrid’s Art Triangle, just 500 metres from Puerta del Sol, and 300 metres from Anton Martin Metro Station. 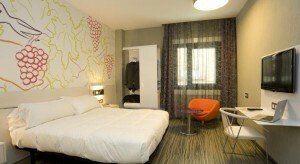 It offers stylish rooms with free Wi-Fi and flat-screen satellite TV. The air-conditioned bedrooms have wooden floors and modern artwork. Bathrooms include toiletries and a hairdryer. The Ibis Styles Madrid Prado has a quiet library and a dining room serving a buffet breakfast. There are numerous cafés and tapas bars in the lively Plaza Santa Ana, just 100 metres away. The Ibis Styles Madrid Prado has a 24-hour reception, and is within 500 metres of the Prado, Reina Sofia and Thyssen-Bornemisza Museums. Atocha AVE Train Station is a 15-minute walk from the hotel.